Offering you a range to fit your budget and taste preference. 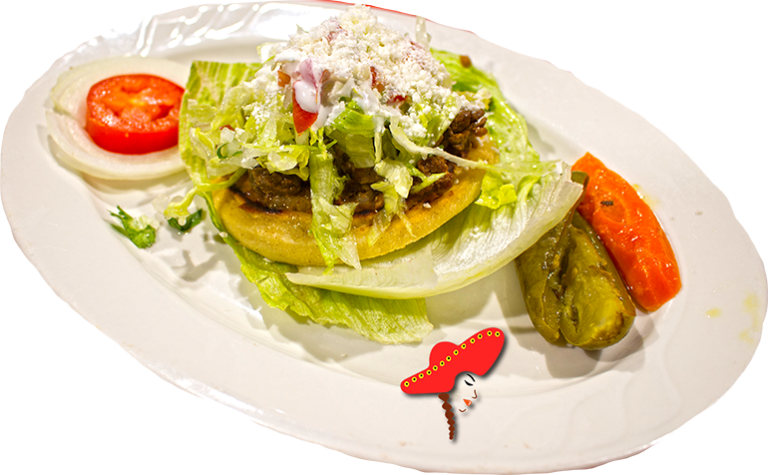 Linda's Mexican food prepares their sopes with your choice of meat; hand-made corn base tortilla; your choice of whole or refried beans; onions; cilantro; pico de gallo; chopped lettuce; crumbled cheese; and your choice of mild or hot sauce. Had the carne asade sopes. The meat was very flavorful and delicious. The sopes are to die for, the flavor of the meat is ridiculously amazing , lets just say i was still craving the food after i was done. So if you haven't been to Linda's Mexican food what are you waiting for.